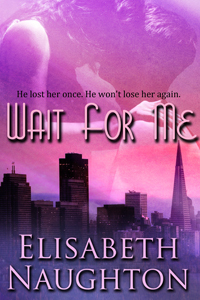 I’m kicking off a mini blog tour for WAIT FOR ME this week. Stop by the following locations to learn more about the book. Multiple chances to enter to win a free copy! i know it’s cheesy but the note book is my favorite reunion story. I love Nora Roberts The Reef, it’s definitely my favourite reunion book. I loved Can’t Hurry Love by Christie Ridgway! About a husband and wife that reconnect after 10 years. My favorite is The Winter Sea by Susanna Kearsley. Gotta go with The Notebook. I love your book Entwined! Zander and Callia Story is so good!! They are separated by lies and brought back together with their love (and son)! Loved It!! I love the beauty and the beast themed stories, so one that I read recently would be stealingcoal by laurann dohner. The risk Coal took to get her back regardless of what happenedto him was so romantic. Thanks for the chance. One of my favorite reunion stories is The Darkest Hour by Maya Banks. I have lots of favorite reunion stories since I love stories about them 😆 I count My One and Only by Kristin Higgins, The You I Never Knew by Susan Wiggs, Betrayals by Carla Neggers and Shattered by Joan Ross among them. It’s hard to pick just one! I think it would be from my very first paranormal read – BITTEN by Kelley Armstrong where Elena and Clay re-unite. It starts off really bad and gets worse but by the end we’re all very happy :). Thank you so much. Well for me its the notebook as well!! Thanks for the chance! Bella Andre has one that’s called, REUNION, if I remember correctly..Really, really like that one. Hi Elisabeth! I loved Stolen Heat! So much raw emotion when Peter realizes she did not die in the car accident. My heart was breaking for him. Thank you for the offer! I’m going to go with Rob Thurman’s Chimera, about two brothers reunited after 10 years (with a twist). Also, well done, Kristin. I was scrolling through to see what others said and did a mental head slap when I saw your answer; Entwined is definitely a really good one! Does Voyager (the second title in Diana Gabaldon’s Outlander series) count? Or perhaps Linda Howards’ Son of the Morning? My favorite reunion story of all time is Jane Eyre. My favorite reunion story are Unleashed by Jami Alden, The Wolf Next Door by Lydia Dare, and Just Like Heaven by Julia Quinn. Favorite reunion … I”d have to go with Nora Roberts. One of my favorite stories by her is Midnight Bayou. It has a bunch of family reunion scenes. Great book! I haven’t read any true reunion stories, ones where there’s been years of separation, that haven’t already been mentioned so I’ll pick Rose and Dimitri from the Vampire Academy books by Richelle Mead. Love that series! Thanks for all the great comments! I have plenty of reunion stories to look for now! I have several favorites including any Beauty & the Beast based story, Pride & Prejudice, the Hex Hall Series, What Would Jane Austen Do?, & A Bride Unveiled. I have to say that Pride and Prejudice is always a good one as well. I am reading Entwined right now, I loved Marked and can’t wait to read the rest. Jamie and Claire Fraser every time their seperated in the outlander series! Love, love, love reunion stories! I really love Truth by Aleatha Romig. It left me speechless, shocked and just emotionally exhausted after I finished it. Claire and Anthony have the most complicated relationship and the jaw dropper ending made Truth definitely a keeper. Actually, one of my favorites is Entwined. It left me achy recovering from a broken heart! This is a fantasy story, but there are romantic elements within it. I love Terry Goodkind’s Wizard’s First Rule (Kahlan and Richard are separated for a time). Each book throws them into situations where they must be apart, but they usually come together again later. Richard is the man I base my opinions on for all other heroes. My favorite would be Jamie and Claire in the Outlander series.. I believe for my Generation, The NoteBook has to be the all time best reunion story. I have just read Lethal Consequences, Book #2, of your Aegis Series, and I would consider Olivia Wolfe’s daring trip to Barcelona to meet Landon Miller to be a reunion, with extreme changes between their first and second meetings. What a story that follows, too! Thanks for the chance to win, and best wishes for your tour. Oops! I just clicked on your goodreads link to this giveaway, and now I realize it was for two years ago. My goodness, I didn’t read very carefully, did I? Sorry. My favorite reunion story would be Karla and Adam in Nobody’s Hero by Kallypso Masters.